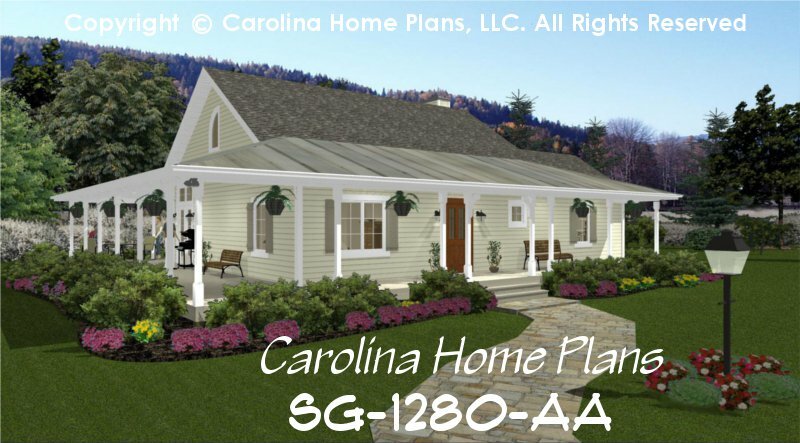 Bright, open and casual describe this charming, 2-bedroom, 2-bath, small country cottage house plan. 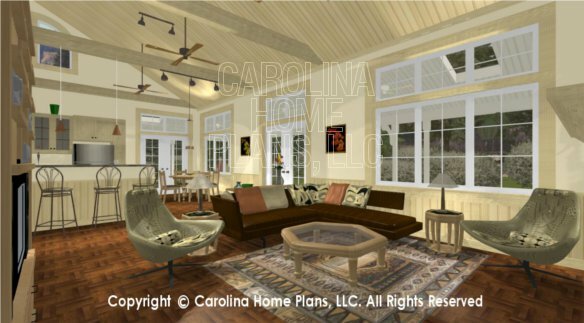 Dramatic vaulted ceilings and tall transom windows enhance the great room, kitchen and dining area, maximizing natural light and spacious ambience. 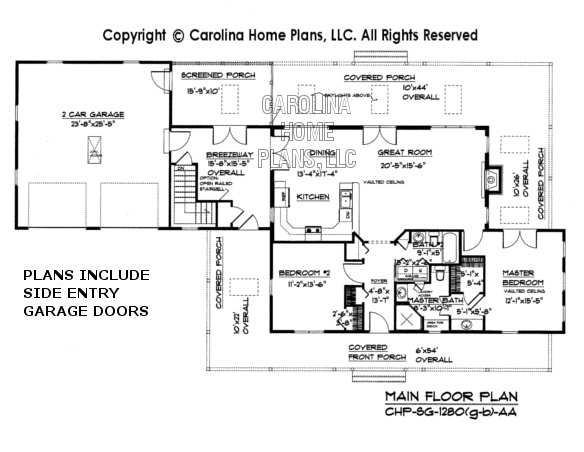 The large sky-lit, wrap-around porch, easily accessible from all sides, provides protection from the elements while maintaining a bright and airy feel through-out. 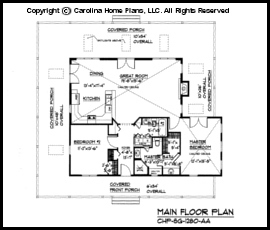 A spacious master bedroom with separate dressing and bath areas, as well as French doors leading to the covered porch adds to the versatility and comfort of this small floor plan layout. 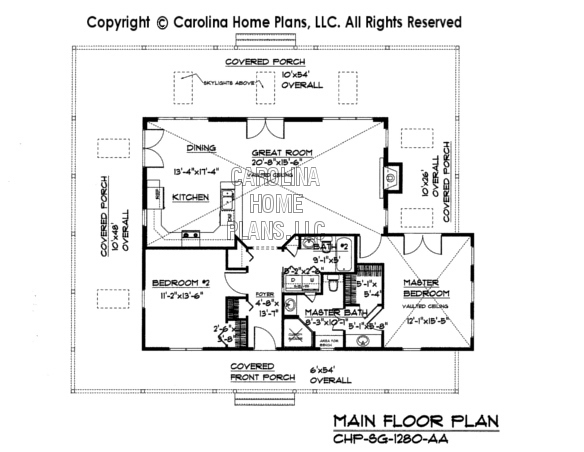 A full second bath with space for a side-by-side washer/dryer make this small economical house plan appealing to retirees or first-time homeowners looking for a starter home. 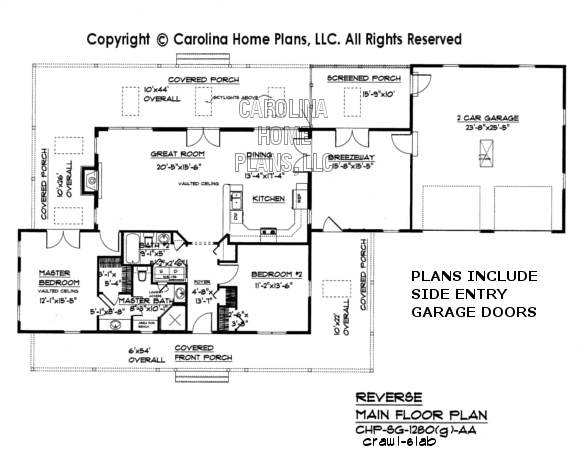 Plans come with options for garage (side entry doors included) and breezeway with basement, slab or crawl space, or a separate, detached garage/workshop GAR-262-ADA. Available options and pricing: See below. 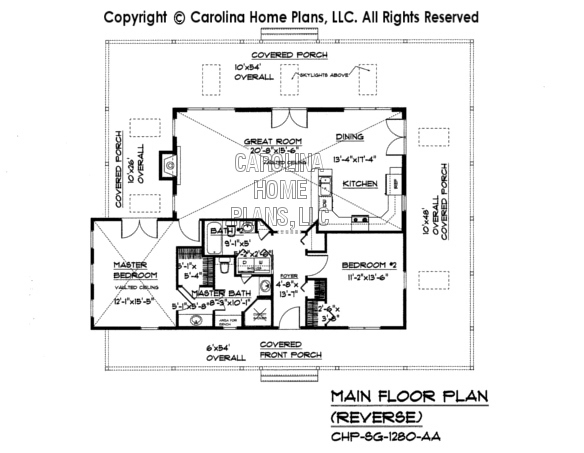 This is a larger version of our best selling small house plan SG-980-AA. 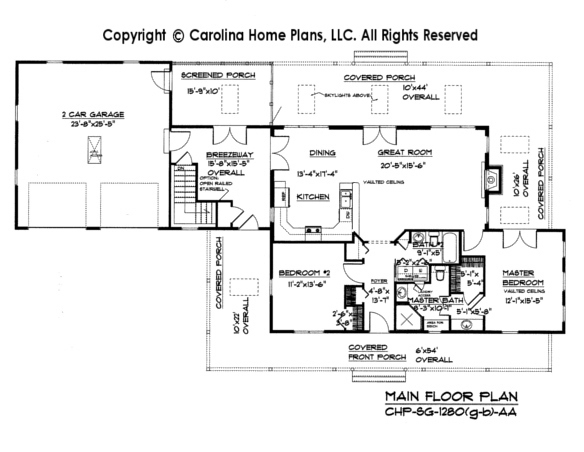 Based on so many requests for this country cottage, open style floor plan we have designed it with larger rooms and a porch that wraps around to the front. 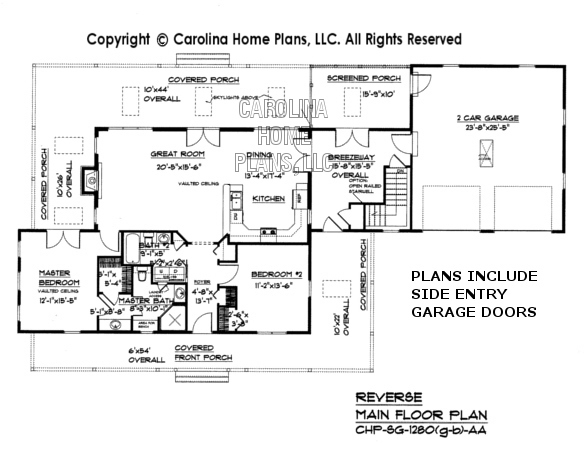 The plan also includes more versatile options for a garage, breezeway and basement. 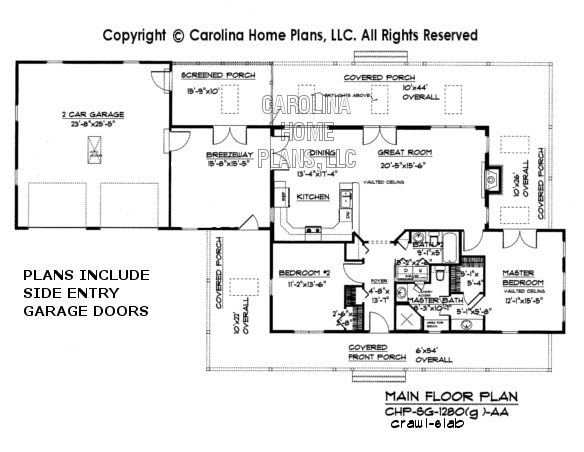 Breezeway Option 256 SQ FT Approx.